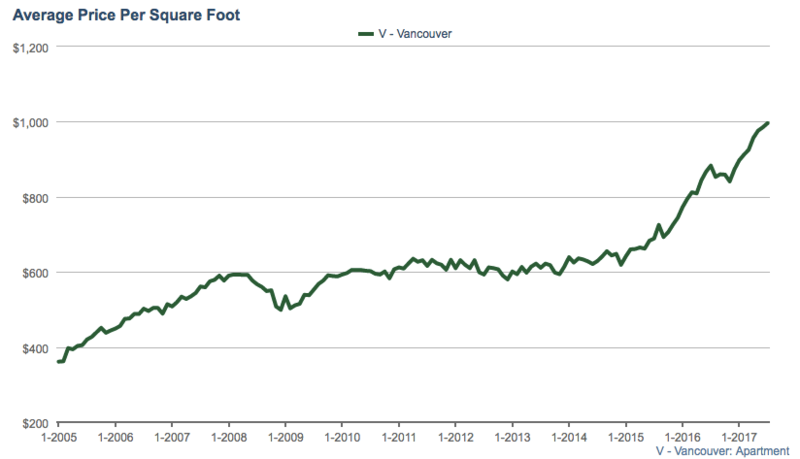 Vancouver condo prices continued to tick upwards in July. A similar trend if you read the June report. The average sales price hit $880,197 which is good for an 8% increase year over year. New listings saw a small increase but not enough to help inventory levels which are stuck at historical lows. 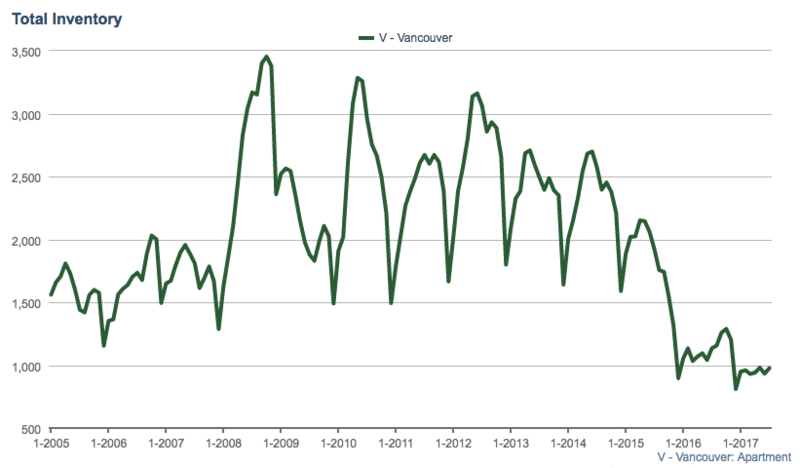 Vancouver condo sales fell 2.5% year over year, and for the first time since 2014, sales dipped below the ten year average for the month of July. With that being said sales remain robust and multiple offers continue to ravage desperate buyers. A sigh of relief for all buyers, new listings for Vancouver condos increased 4% year over year and were just slightly shy of the ten year average. However, the big problem remains ultra low inventory levels. After years of excessive demand it has plunged inventory levels to record lows. With sales hardly slowing, inventory levels have not been able to replenish. The 975 active listings at the end of July, 2017 were the fewest recorded in recent history. Vancouver Condo Inventory falls 14% year over year in July. The Vancouver condo market remains extremely competitive. Most units are selling in multiple offers, with a plethora of them being subject free. The sales to actives ratio sits at a red hot 56%, although a decent drop from June’s 75%. With inventory still at record lows and sales still trucking along I expect further upwards pressure on prices. However, the market should experience it’s usual cool down in August.